Interdisciplinarity is highly valued in present-day academia. It is also central to STS, with scholars in the field commonly drawing on, being located in, and presenting their results to, a variety of different disciplinary settings. But even though it sometimes seems to be everywhere, interdisciplinarity is a difficult thing to do well. It is not easy to work together different knowledge traditions, assumptions about the world, and ideas about what counts as a valid question and a reasonable answer, in a way that is generative. It is even more difficult to do so without losing many of the interesting differences that made a mix between multiple disciplines seem so promising in the first place. This piece reflects on a workshop that explicitly sought to manage these challenges through a double comparison and a careful workshop structure. The workshop ‘Cultures of Video Game Concerns’ was held at the Ruhr Universität, in Bochum, Germany, over two days in January 2015. It was organised by Estrid Sørenson, of the Mercator Research group at Ruhr Universität, and Espen Aarseth, of the Centre for Computer Games Research at ITU, Copenhagen. Part of the impetus for the workshop was to bring together two disciplines that have had little to do with each other but would seem to have a number of common interests, STS and Games Studies. Both of these areas are interdisciplinary, and the workshop hosted people from a large number of academic settings, including social psychology, sociology, media studies, and education, as well as from the games industry and regulators. The number of participants was kept small, at about thirty people, in order to enable the whole group to engage in discussion. Participants came primarily from Germany and Denmark, but also from Norway, the UK, Australia and Spain. The topic of the workshop was not the oft-repeated question of whether and to what extent video games cause harm to children, but rather the ways in which such facts and concerns around video games arise and circulate. Asking about how objects are enacted and sustained is a familiar move to STS scholars, but less familiar to workshop participants who came from other areas. The careful structure of the workshop was intended to facilitate this move, as well as to make space for the different knowledge practices of the participants. In particular, a double comparison was mobilised in order to destabilise the ‘facts’ of the matter and open up questions of how concerns come into being and which relationships and boundaries such concerns help to enact, and which they prevent. The first comparison was between two countries; Denmark, often seen as the most liberal country in Europe when it comes to regulating video games, and Germany, often seen as the strictest. In Denmark, there is no specific video game regulator, although games carry age ratings from PEGI (the European industry-led classification body); in contrast Germany funds a regulator whose age classification of video games are enforceable at point of purchase. 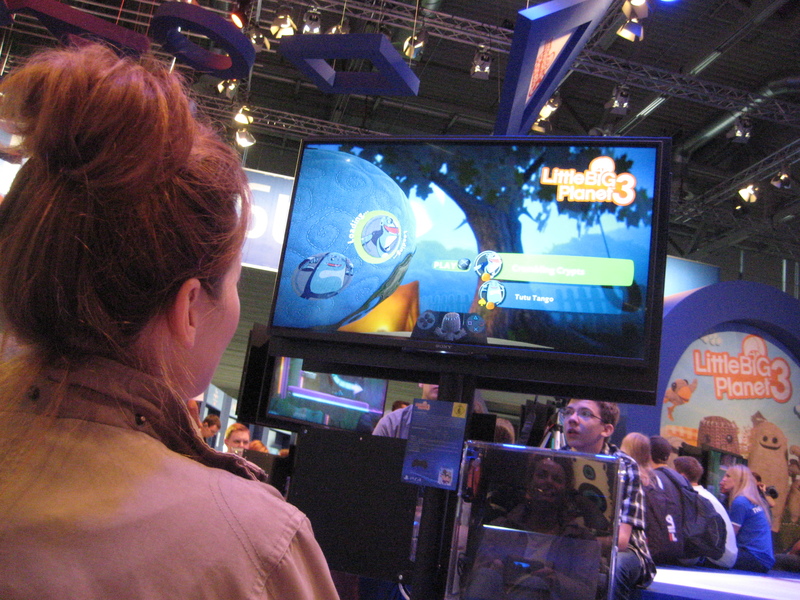 The debate about whether violence in video games causes aggression or other forms of harm in children is more present in Germany, in part stemming from the implication of video game playing in school shootings in 2002, 2006 and 2009, and a constitutional imperative to protect children from anything that may cause them harm. In Denmark, concerns around video games seem to centre more on issues of problem gaming (playing too much), on whether parents and teachers should try to learn more about games so that they can understand childrens’ culture (of which games are a part), and on how these games fit into broader life. The second comparison was between four social domains: regulation and prevention services, the game industry, children’s and family culture, and scientific research. 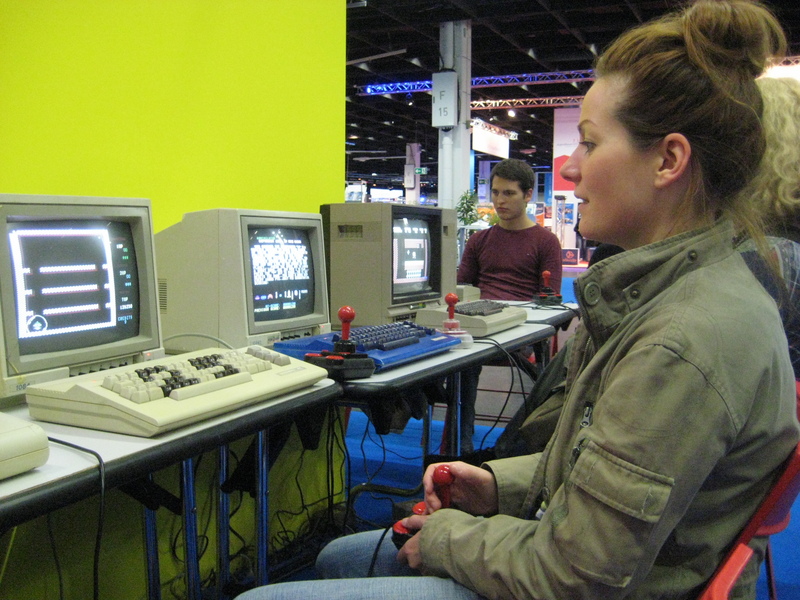 While this comparison was envisaged as parts of the social in and through which concerns about video games circulate, it served also to collect workshop participants into groupings other than their disciplines. The workshop structure encouraged us to think about ourselves as attending primarily to one of these four areas, such that in discussion and when dividing into groups we were ordered by the objects of our attention rather than as academics and industry, or psychologists and sociologists. Becoming sensitised to this double comparison started before the workshop, with the organisers circulating a series of questions to participants about how concerns about video games circulate in their country and social domain. The lengthy and well-considered answers were collated (anonymously) into a Booklet of Utterances, which was circulated prior to the workshop, and made fascinating reading on the flight over. In addition to mobilising these two comparisons and generating and circulating discussion prior to the workshop, the careful attention to a generative practice of interdisciplinarity was expressed in the structure of the workshop. There were only a few presentations, and these were intended to speak directly to the workshop topic and provide food for discussion, rather than providing an opportunity to report on the presenters’ latest research. The time given over to discussion much outweighed that for presentations. Despite the small number of presentations, I cannot cover them all here, but will give a brief mention to a few that I found particularly interesting and which speak to the heterogeneity of the workshop. Anne Mette Thorhauge is Chair of the Danish Media Council for Children and Young People and a lecturer at the University of Copenhagen. The Media Council classifies films, but not video games, a task that they view as too expensive and (with parallel importation) impractical. Anne Mette spoke of her concerns about PEGI’s classification system, which she saw as embedding cultural and normative standpoints that are not appropriate in Denmark, and its lack of concern for children’s rights to communication, freedom from control, and to seek information. The Media Council works to promote Danish cultural values at PEGI, and also to provide information to parents on concerns such as problem gaming, data protection, and encouraging children to develop creative play cultures around games. Jan Schank has researched game regulation by the German regulatory body, the USK. Jan talked about how the figure of ‘the player’ is constituted in the written descriptions of video games that are produced by the regulator as part of their rulings on age classification. This figure of the player in the text shifts from being inside the game, to sitting on the couch, to an avatar, having a different relation to the game, the person playing it, and to potential harm in each place. Jan argued that this carefully contrived shifting of the player figure serves to justify why children in some age ranges (but not others) must be protected from a game. Tobias Rothmund presented the scientific (mostly psychology) research that he argued provided sufficient evidence to know that violence in video games increases some forms of aggression in child players, ie. causes harm. He described his and his colleagues’ frustration that this evidence is often not accepted and acted upon by regulators and industry, as well as some of the reasons why gamers themselves may not be receptive to this evidence. The objects that Tobias worked with were notably different to those attended to by most of the other presenters; objects like evidence, experiment, measurement, scientific knowledge, ‘aggressive affect’ and ‘aggressive cognition’, and even those which shared a name with objects that circulated more widely at the workshop, such as ‘harm’ and ‘children’. Dorte Marie Søndegaard talked about her interviews and observation of young people aged 8-14 years in Denmark, as part of a project investigating bullying. She was interested in the ways that video games become relevant to children, and how they entangle everyday lives and social interaction. Dorte Marie made use of Barad (2007) and Butler (2004) to show the fluidity of children’s talk about violence, in which violence from all sorts of settings (in games and movies, on the news, at school) are connected. Dorte Marie suggested that violence seems to be a distributed phenomenon in children’s lives, and that it may be more useful to talk about it as flowing around rather than passing from a game to a child in a causal or unidirectional relationship. Simon Løvind, a Games Commissioning Editor at the Danish Film Institute, talked about games as a cultural artefact, and how he assesses their cultural value in order to decide which projects to support. He explained that they look for four types of cultural value in assessing game proposals: aesthetic value; social value (to formation and development of identity); experience value (engagement, experience based learning); and cognitive value (problem solving, training cognitive functions). Simon told us that the Danish Film Institute’s funding agreement with the parliament states that video games are a natural part of children, youth and adults’ lives, and that there was not much concern about violence or immorality. Simon also talked about the characteristics of the Danish film industry, as well as research that has been done on cultural habits in Denmark, including who plays games, how often, and what sorts of games they play. These presentations each focused on particular places and times that the speaker was familiar with, making these available to the group so that the ways in which concerns arise and circulate could be discussed. Such times and places were immediately compared to other specific times and places, as well as used as examples to fuel the more general comparisons that were built into the workshop structure, between and across nations and social domains. These comparisons made it very clear that concerns about video games are situated, that they need not be this way; comparison has long been used in STS in order to support just such a conclusion. The comparisons also prompted discussion about what it is to ‘know about’ video games, who should do this knowing, and what sort of an object a game is. The act of comparison kept particular differences present and available for discussion, albeit inevitably de-emphasising others. At the same time, however, these comparisons created connections between participants, as we were all engaged in a shared and explicitly understood project. The comparisons connected us because we were making similar categorical separations. A third, less explicit comparison, that inherent in interdisciplinarity, prompted us to reflect on what sort of knowledge traditions we each participate in. This was only intensified by the presence of participants from outside of the academic sphere. To be ‘inter’ is to be among or between, and interdisciplinarity means putting more than one discipline, more than one way of knowing, alongside each other. The contrast between knowledge practices, between the sorts of questions that we ask and the objects that we work with, was ever present. This contrast served to destabilise our conceptions of what and how we know, just as the double comparison between nations and social domains served to destabilise our knowledge about concerns around video games. In this workshop, comparison served to make connections, keep some differences present and also to foster the very STS project of examining our assumption about knowledge and the world. Barad K (2007) Meeting the Universe Halfway: Quantum Physics and the Entanglement of Matter and Meaning. Durham, NC: Duke University Press. Butler J (2004) Undoing gender. New York: Routledge. Nauroth P, Gollwitzer M, Bender J & Rothmund T (2014) Gamers against science: The case of the violent video games debate. European Journal of Social Psychology 44(2): 104-116. Søndergaard DM (2013) Virtual materiality, potentiality and subjectivity: how do we conceptualize real-virtual interaction embodied and enacted in computer gaming, imagery and night dreams? Subjectivity 6(1): 55-78. Sørenson E (2013) Violent Computer Games in the German Press. New Media & Society 15(6): 963-981. Verran H (2001) Science and an African Logic. Chicago: University of Chicago Press. Alison Marlin is a PhD student at the University of Melbourne, where she studies family intimacies that incorporate technologies such as Skype, Facebook and text messaging, as multiple and material-semiotic. 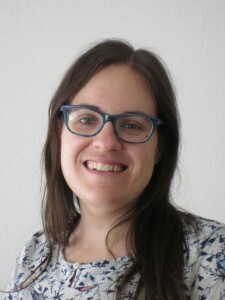 She has been a research intern at the Socio-Digital Systems group, Microsoft Research, Cambridge, and a visiting scholar at the Technology in Practice group, IT University of Copenhagen.